Yes. I lived in cities for many years and abroad. I started my public relations and marketing firm in 1989. My company was a huge success as we brought in European designers into the US marketplace. It was wonderful; however, I was constantly around egos and trying to stay one step ahead of the drama. Two years ago I moved to Short Hills, NJ. I was stunned living in the suburbs. Last summer, I started another company daycationtoday. I found, being an entrepreneur, that every day I sat at my desk and “dialed for dollars” to garner media placements for my clients. I would hardly go out for lunch as if someone was watching over me, and I was the BOSS! The days turned into weeks, the weeks into months, and the two-week vacation that I worked so hard for all year long sometimes never turned out the way I had imagined. Next thing I knew, it was September, and I was back to the same old grind. I thought many women are in my same boat. I felt there had to be other women who worked, went to the market, picked up the cleaning, picked up the kids from school, made dinner, and woke up the next day doing the exact same thing. I had to change it. I started daycationtoday out of my own need to find an experience, an adventure, a talk, a new restaurant, a new anything that would make me feel like I did something for myself that day. Even if it was once a month. Then I would have something to look forward to each month. From the start, over 75 women signed up to become daycationers. Every month I find, plan, and organize one week of activities and cool things to do in and around North Jersey. At the beginning of each month. I send out a blast informing the daycationers what is in store for them the coming month. It is a paid-for service, but all the experiences I find—from spas, to tea tastings, to bike tours, to hikes, and the list goes on—are free. All I want them to do is sign up and show up because it is their “guilt-free” ME day and I want them to enjoy themselves. We all need balance and it starts with taking care of ourselves first, at least sometimes. I think having it all is definitely overrated; in fact, in my mind it is a myth, like Atlantis. Okay, then maybe it is true, but I have not found it. Every time I believed I had it all, something in the universe showed me that I didn’t. I believe the media and Facebook perpetulate the myth. We are constantly bombarded by images of people’s lives. In the old days, perhaps the only people you might have known about were your neighbors. Now we see on Instagram and all kinds of social media how people are living their lives. So often times, one might feel like THEY are having it all, only to find out what looked like paradise was really a delusion. I can’t seem to rid my brain of what I believe balance should be. However the people around me, my husband and my daughter, do not see things the way I do, and when that happens my internal scale is way down. I practice the Law of Attraction to bring me what I desire without tipping the emotional energy scale and let go of what should be instead of what is and how the universe will provide if I just let it go. Letting go is what brings me balance. It’s like being on a see-saw. I strive for having both myself and the other person on the other end have both our feet on the ground at the same time. The best advice I ever heard about balance is from my daycationtoday destination people who are experts in many different fields from Law of Attraction to parenting to health to meditation. All of these amazing women have helped not only me but my daycationers learn that in our busy worlds we can find a sense of peace and belonging. I wish I had known that I was going to find what I love to do and that I would do it and be successful at it. Well, I can’t believe that is only two years away. I hope to know that I can let go of my old self that no longer serves the new and improved me. That is a great question. I wish I could outsource the driving, the food shopping, making the beds, emptying the dishwasher, doing the laundry, shoveling the snow, the emotional hormonal rage that is my daughter at times, and my husband’s marathon watching of Shark Tank. Honestly after being in public relations for over 28 years and working with every conceivable company, I don’t wish I had anyone else’s job. I love what I do, especially now with daycationtoday. My husband’s. He’s in the plastics business. He took The Graduate a bit too far. Too many to name, however a few are: The Conscious Parent by Dr. Shefali Tsabary, Gone Girl by Gillian Flynn, and biographies of celebrities (when I read them I realize they may be famous, but their lives are no better than mine). There Was a Little Girl: The Real Story of My Mother and Me by Brooke Shields. Activity? I am an activity junkie. I love just about everything that has to do with expending energy. Ever since I was a child, I’ve loved every sport, adventure, and travel ,and I still do today. My biggest vice—and I’ve done this—is to bike throughout third-world countries. I’ve biked in China, Vietnam, Bhutan, and the Canadian Rockies. And I did those trips by myself. I love to travel by myself whether it’s to a movie or abroad. Food? I am going clean so it is hard to say right now. Sushi would be my biggest vice, but I am learning a lot about it right now, so it is not at the top of my food list at the moment. Website? One Kings Road, Gilt, and the Millburn Middle School Parent Portal. I read the New York Post and proud of it! I also read the Wall Street Journal. I think I: am ready for a new life. I wish I: had not yelled at my child. My daughter: is the most precious person to me. However, it is those teenage years, and they cannot be dismissed as a delightful time. Forget the terrible two’s—what about the terrible teenage years? I know we will get through this, but not without getting my hair colored every two weeks instead of four. I think your questions are thought-provoking, and I am so happy to see this movement toward giving women the opportunity to express themselves without judgment. I also love knowing that the other women you have posted are all going through the same thing. It’s like a big playground we are all playing on. Some days we have fun, and some days we get kicked in the eye with sand. After having worked with Elizabeth Taylor and forming amfAR and the first Commitment To Life AIDS benefit in Los Angeles , Debra went on to work with MTV creator Bob Pittman to establish the first ever reality shows including COPS and the Morton Downey Show. In 1990, Debra founded Real Life Communications and Marketing in NYC, one of the premiere public relations companies for fashion, beauty, and luxury products. She handled the launches of Escada, Kenzo, Krizia, Bally of Switzerland, Etienne Aigner, Emilio Pucci, Contess Mara, and Donna Morgan to name a few. In 2005, Debra moved to Aventura, FL, and started FreshConnect, which catered to a variety of businesses, including start-ups and established companies. 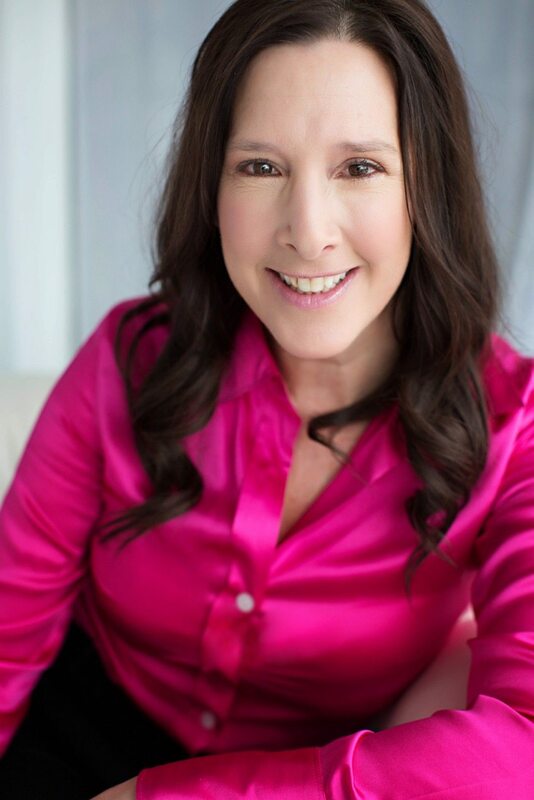 In 2012, Debra moved to Short Hills, NJ, where she continues her public relations and marketing business and also runs daycationtoday, which gives busy moms and working women the opportunity to do something great for themselves every month. In other words…to find balance.